There are loads of people who dream of spending their vacations or holidays in beautiful Orlando Florida. In fact, many of them scrimp and save for years to be able to see that dream vacation come to fruition. Once they arrive, most vacationers quickly become confused, frustrated and stressed out trying to navigate their ways from their hotels to the various attractions in Orlando. Nearly 60 million people visit this magical city every year and when added to the 255 thousand people who live there, it equates to a whole lot of traffic! 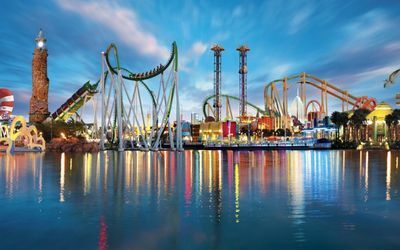 By enlisting luxury transportation services for attractions in Orlando, you can eliminate much of the stress involved with getting to and from the attractions you wish to enjoy. The professional drivers at Luxury Transportation Group will provide you with airport transportation services, as well as complete transportation services for attractions in Orlando, Florida. Miami offers a wide variety of wonderful attractions that will surely please every member of the family or group. From great art galleries and incredible concerts to eco-adventures and concerts, you’d be hard pressed to find a more diverse city in the Sunshine State. Unfortunately, driving around the city isn’t the most pleasant experience for those who are not residents. Even finding parking at the many tourist attractions, restaurants and city parking garages can be maddening. It’s much easier to reserve transportation services for attractions in Miami. A professional driver and luxury limousine will make your vacation much more enjoyable for the entire family or group. Luxury Transportation Group offers exclusive city tours and transportation limo services for attractions in Miami. There is nothing like experiencing all of the great things that you can see and do in New York City. It’s a wonderful place to visit for both young and old. There’s skating at Rockefeller Center, plays in dozens of theatres, museums, galleries, concerts and sporting events; just to name a few. Of course, there are many visitors who simply hop into taxi cabs to get around the city however; some cab drivers have no issue with bilking their fares, and they tend to drive like maniacs too. Showing up at the theatre, restaurant or nightclub in a luxury car gives a much better appearance. Luxury Transportation Group provides the highest quality luxury transportation services for attractions in New York City. Whether you’re planning a visit to the theme parks in Orlando, swimming with the dolphins in Miami, or seeing some shows in New York, Luxury Transportation Group will make your trip easier. Their luxury limo services for attractions are second to none. Call 407-476-0429 when you need luxury transportation services in New York, Miami or Orlando.